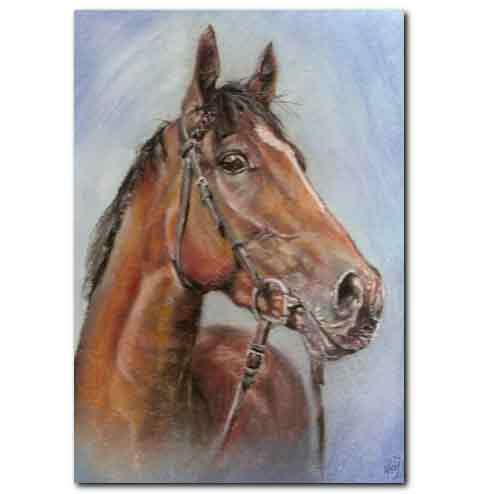 Naj's Horse Art Gallery showcases a small selection of equine art and horse art by Naj, including horse portrait paintings, fantasy horse art and miniature horse art. Horses have long been a favourite subject of the artist who holds an admiration for the horse paintings of British artist George Stubbs (1724 - 1806). 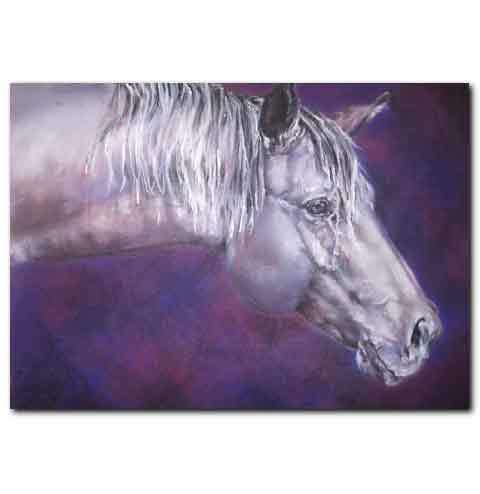 Equestrian art or equine portrait paintings can be more labour-intensive than other animal portraits. This is especially true when the horse is portrayed with tack and/rider. The complex anatomy of equine subjects means horses can sometimes prove more of an artistic challenge than some other animal subjects! 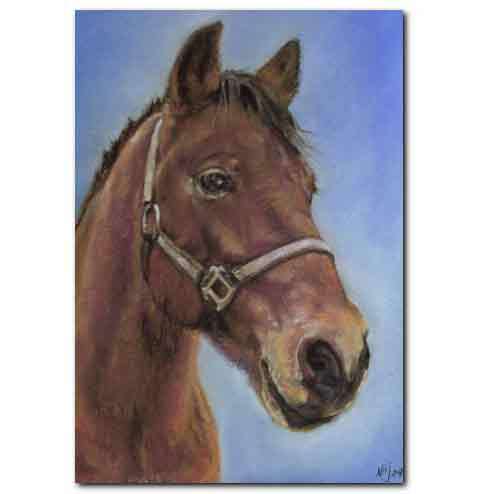 For these reasons a horse painting commission may be a little more costly than, for example, a simple dog portrait painting. 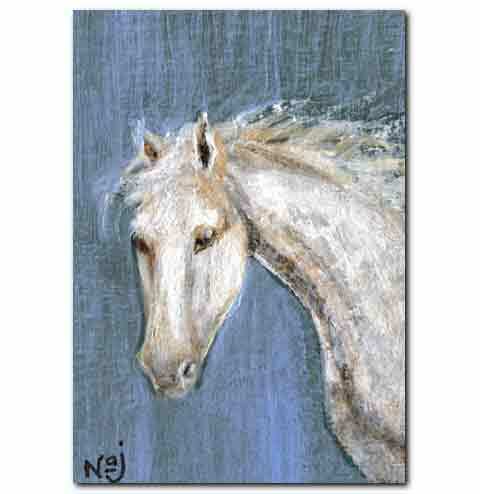 If you are interested in commissioning a horse art work or have any queries, please contact Naj. « Go to main Portrait Gallery to see more art and find out about how commissioning a portrait works. All artwork Copyright (c) 2006-2009. No reproduction allowed. Website design by Naj. Copyright (c) 2006-2009. Valid XHTML and CSS.